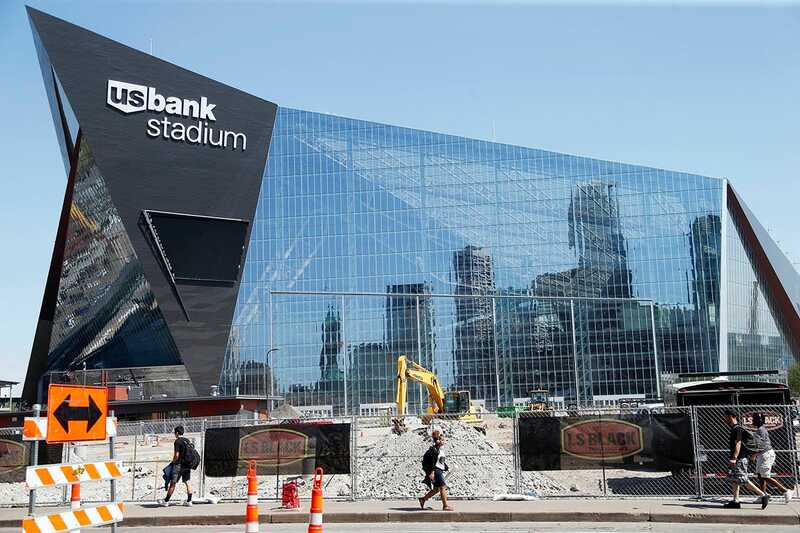 For the first time in three years, the Minnesota Vikings will have a stadium to call their own as U.S. Bank Stadium is nearing completion and will be ready to use for the 2016 season. 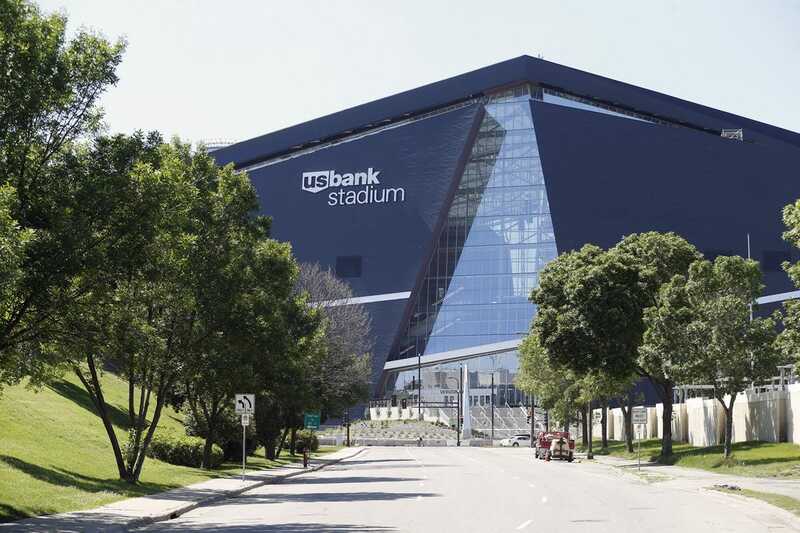 After many years at the Metrodome, the Vikings spent the last two years playing at the home field of the University of Minnesota as they waited for the completion of their $1 billion domed stadium in downtown Minneapolis. 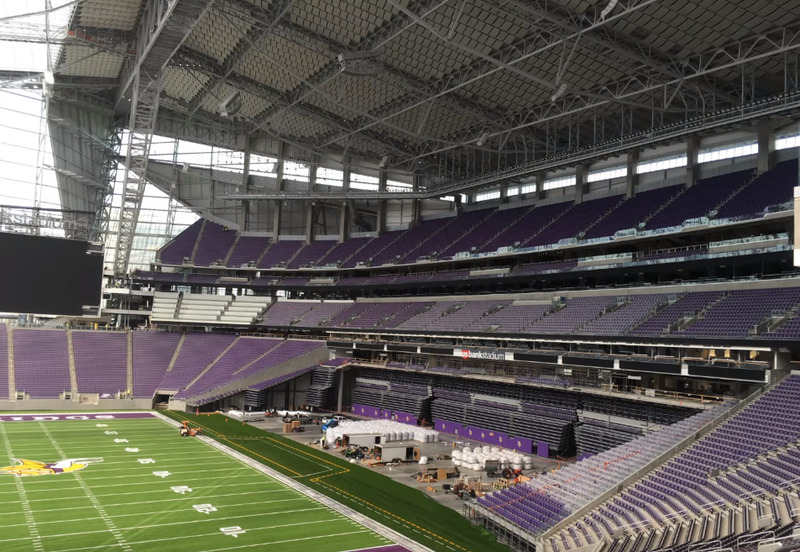 Now, three months before their first game in September, the stadium is nearing completion and it looks amazing. Here is a closer look. 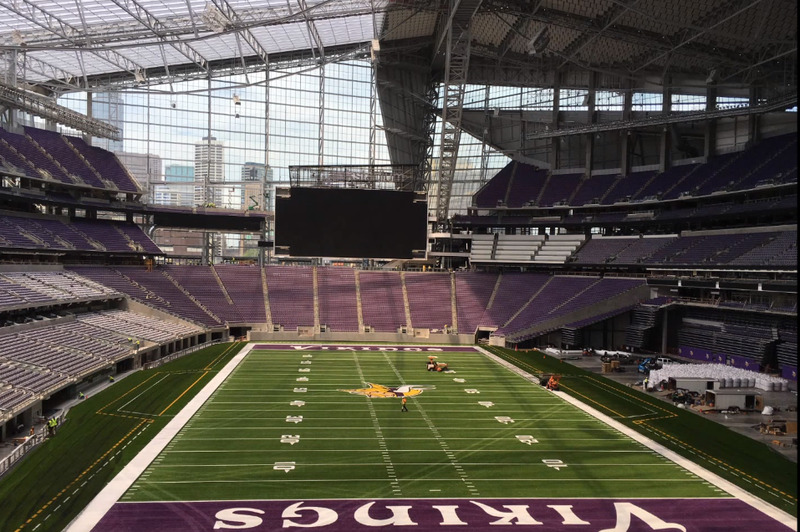 The stadium has a translucent roof and a wall of windows that can be opened to give the fans a feeling of being outside while still being protected from the harsh winter elements. 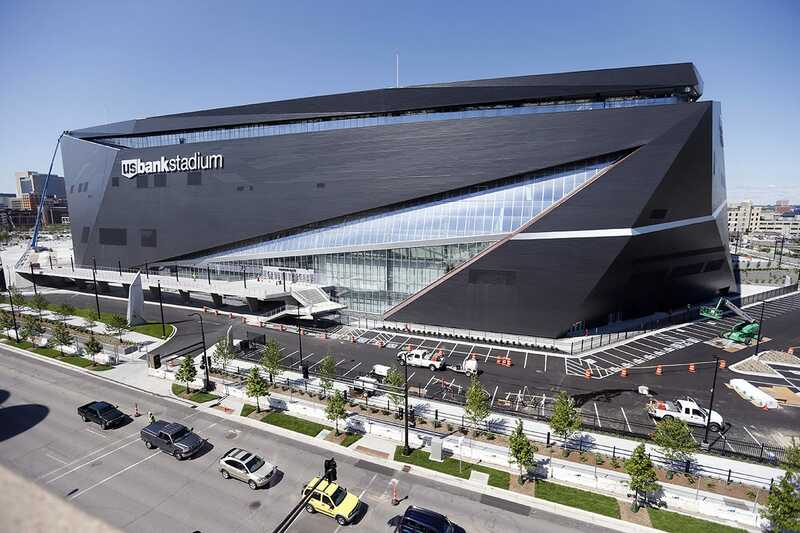 From the outside, the stadium has the appearance of a modernized Viking ship. The view as people approach the "bow" of the stadium. 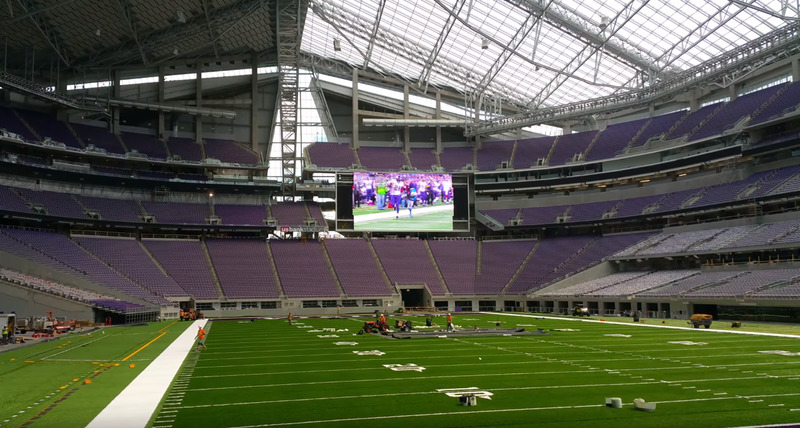 Here is the view of downtown the fans will have from inside the stadium. 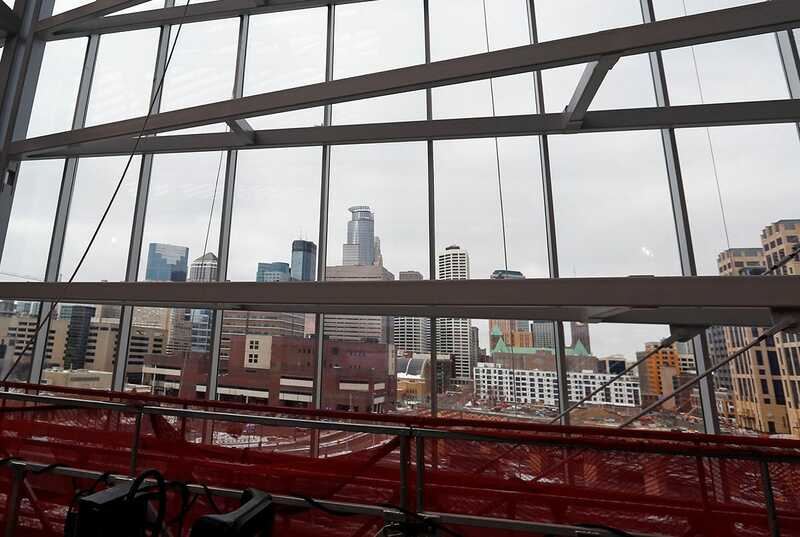 Here is another view the fans will have of downtown Minneapolis. 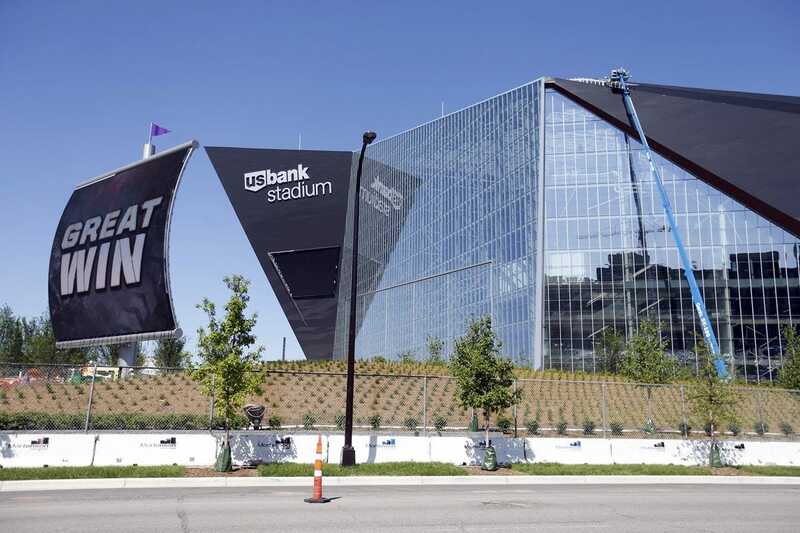 The stadium will host the Super Bowl at the end of the 2017 season. Here is a view of the see-through roof from the inside. 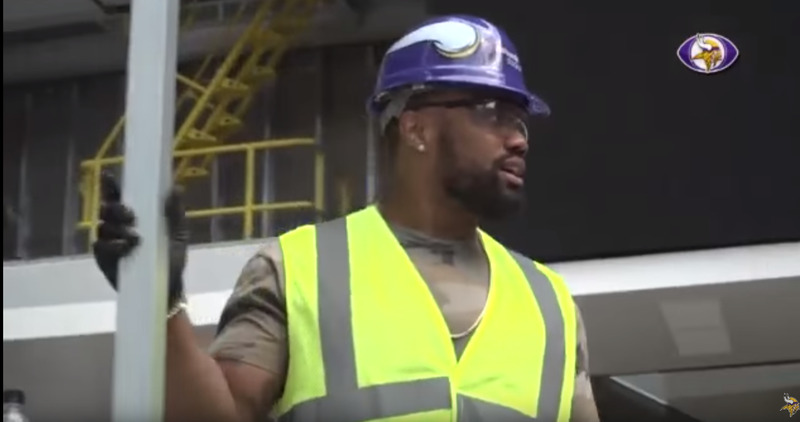 Players recently were given a tour of the stadium with Vikings-themed hard hats. It's no Jerry World videoboard, but this is going to look equally impressive to those sitting nearby. The locker room looks gorgeous. 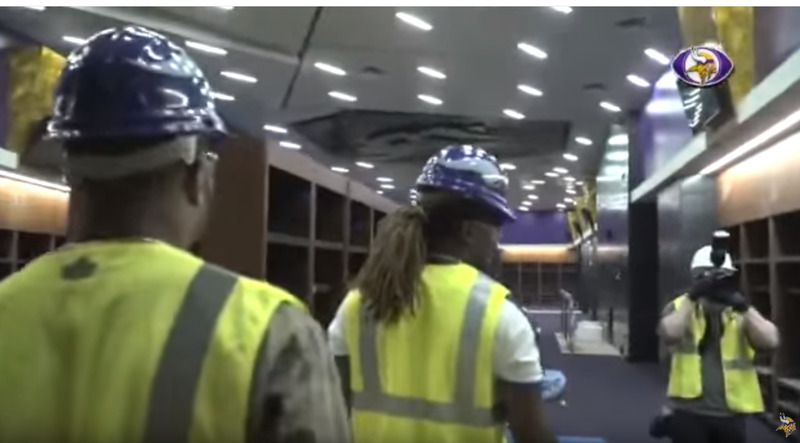 And even comes with a gigantic Vikings logo on the ceiling. Somebody recently used a drone to take some aerial footage of the stadium at sunset. This is going to look incredible when the stadium is lit up for night games. 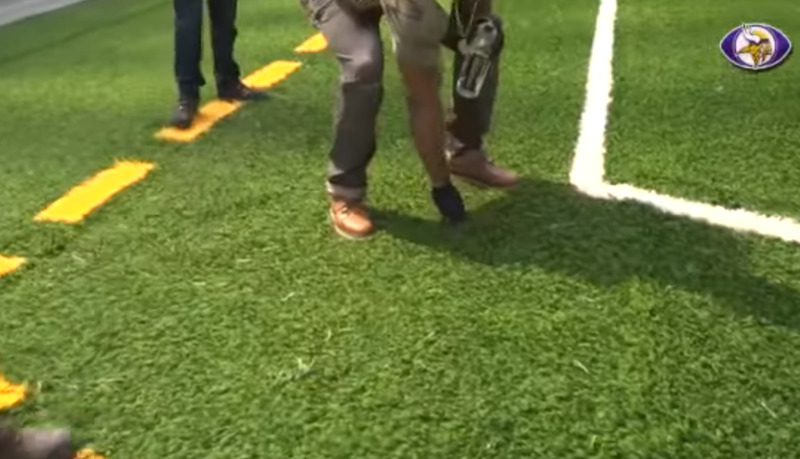 The players were impressed with the turf and how much it looked like real grass. This is clearly going to be one of the highlights of the 2016 season for the NFL. 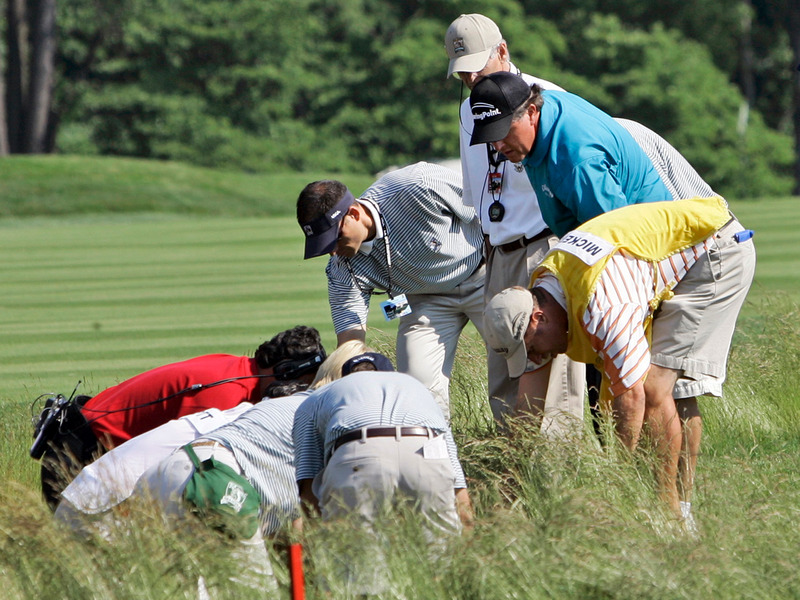 Now check out why this year's US Open is going to be so brutal.